On DVD, the video and audio quality is exceptional with sharp images and an impressive 5.1 Surround Sound track. With some interesting special features, this is definitely a must have DVD for lovers of this genre. 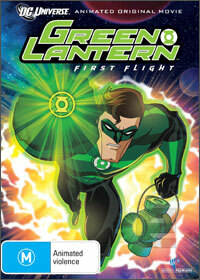 Let's hope the upcoming Green Lantern live-action movie falls into this category.